What is already known about a journal (not an accounting journal, just any journal)? It’s just a log book, right? A place where one can record a history of transactions and events, usually in date (chronological) order. Likewise, an accounting journal is just a log book that contains a chronological listing of a company’s transactions and events. 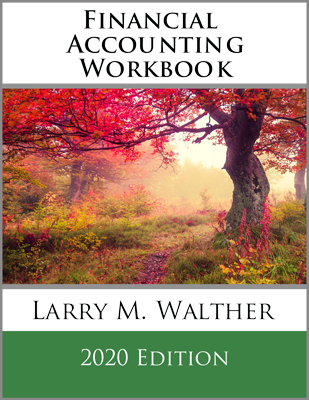 The accounting journal serves to document business activity as it occurs. However, rather than including a detailed narrative description of a company’s transactions and events, the journal lists the items by a form of shorthand notation. Specifically, the notation indicates the accounts involved, and whether each is debited or credited. The general journal is sometimes called the book of original entry. This means that source documents are reviewed and interpreted as to the accounts involved. 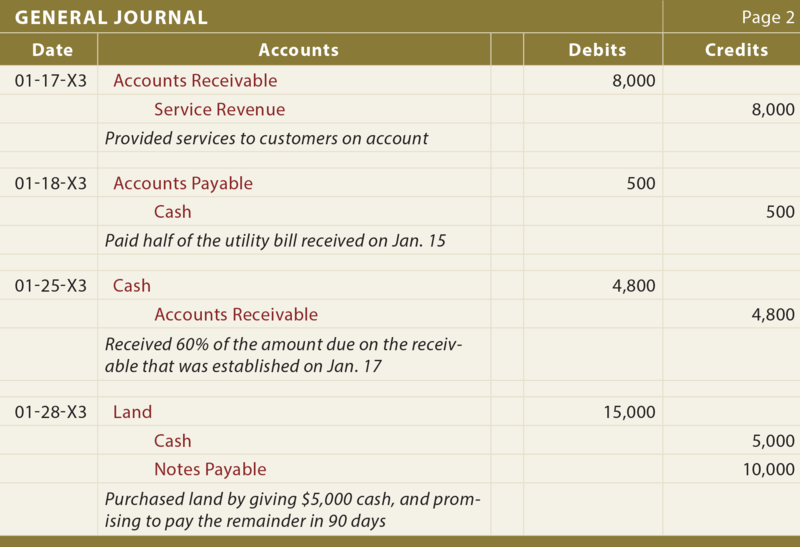 Then, they are documented in the journal via their debit/credit format. As such the general journal becomes a log book of the recordable transactions and events. The journal is not sufficient, by itself, to prepare financial statements. That objective is fulfilled by subsequent steps. But, maintaining the journal is the point of beginning toward that end objective. Note that each transaction is followed by a brief narrative description; this is a good practice to provide further documentation. For each transaction, it is customary to list “debits” first (flush left), then the credits (indented right). Finally, notice that a transaction may involve more than two accounts (as in the January 28 transaction); the corresponding journal entry for these complex transactions is called a “compound” entry. In reviewing the general journal for Xao, note that it is only two pages long. An actual journal for a business might consume hundreds or thousands of pages to document its many transactions. As a result, some businesses may maintain the journal in electronic form only. The illustrated journal was referred to as a “general” journal. Most businesses will maintain a general journal. All transactions can be recorded in the general journal. However, a business may sometimes find it beneficial to employ optional “special journals.” Special journals are deployed for highly repetitive transactions. For example, a business may have huge volumes of redundant transactions that involve cash receipts. Thus, the company might have a special cash receipts journal. Any transaction entailing a cash receipt would be recorded therein. 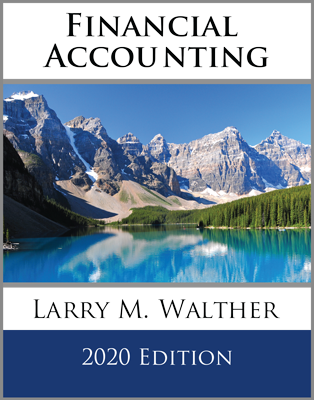 Indeed, the summary total of all transactions in this journal could correspond to the debits to the Cash account, further simplifying the accounting process. 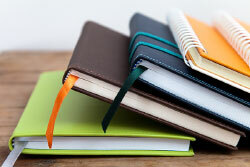 Other special journals might be used for cash payments, sales, purchases, payroll, and so forth. The special journals do not replace the general journal. Instead, they just strip out recurring type transactions and place them in their own separate journal. The transaction descriptions associated with each transaction found in the general journal are not normally needed in a special journal, given that each transaction is redundant in nature. Without special journals, a general journal can become quite voluminous. Second, notice that the illustrated journal consisted of two pages (labeled Page 1 and Page 2). Although the journal is chronological, it is helpful to have the page number indexing for transaction cross-referencing and working backward from financial statement amounts to individual transactions. 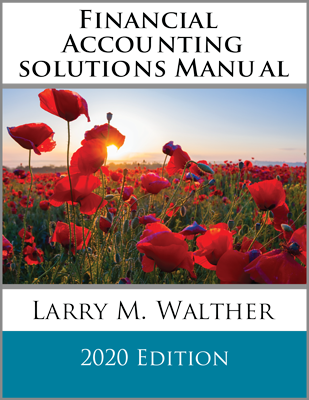 The benefits of this type of indexing will become apparent in the general ledger exhibits within the following section of the chapter. As an alternative, some companies will assign a unique index number to each transaction, further facilitating the ability to trace transactions throughout the entire accounting system. 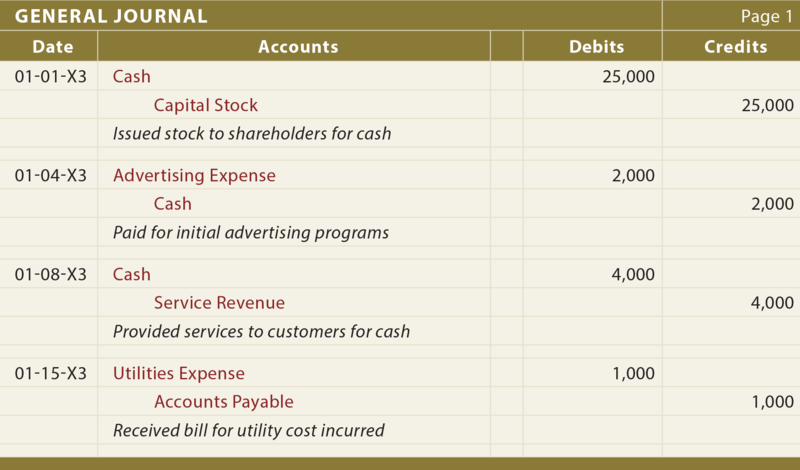 The general journal does nothing to tell a company about the balance in each specific account. For instance, how much cash does Xao Corporation have at the end of January? One could go through the journal and net the debits and credits to Cash ($25,000 – $2,000 + $4,000 – $500 + $4,800 – $5,000 = $26,300). But, this is tedious and highly susceptible to error. It would become virtually impossible if the journal were hundreds of pages long. A better way is needed. This is where the general ledger comes into play. Know that the journal is the book of original entry, into which transactions are journalized in chronological order. Be aware of the reasons why some companies may employ special journals, in addition the general journal. Understand why the journal(s) alone is insufficient to provide a clear picture of business activity and position.